Description: Gets its common name from the unusual bloated trunk that resembles a bottle. 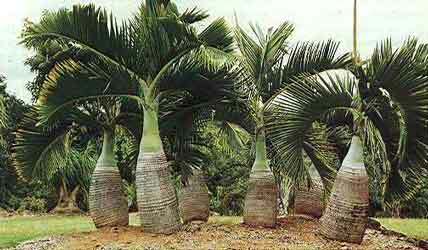 The dark green pinnate fronds have a prominent twist and the crown consists of a small number of these at any one time. (usually 4 to 6) Sensitive to cold and very slow growing.